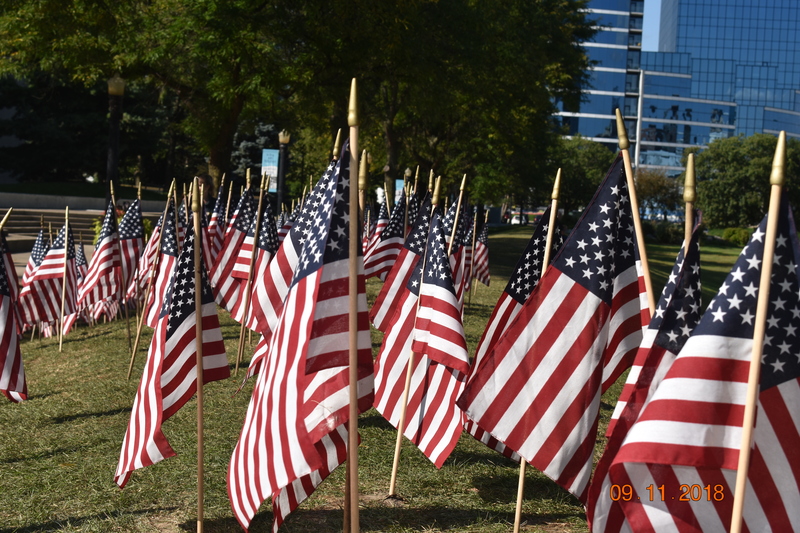 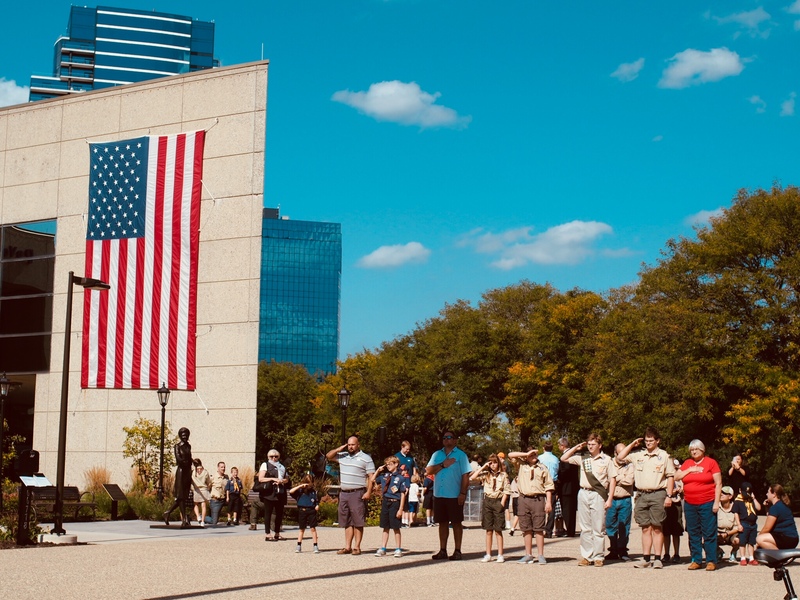 The 17th Annual 9/11 Day of Remembrance and Scout Salute took place on Tuesday at the Gerald R. Ford Presidential Museum to honor the lives of those killed during the terrorist attacks in the United States on Sept. 11, 2001. 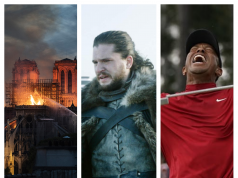 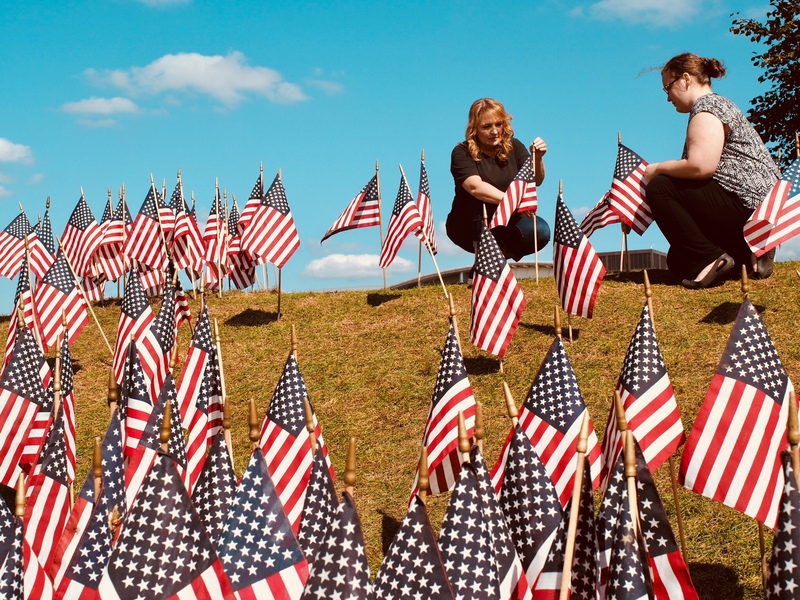 The day was filled with events to commemorate the anniversary of the attacks on the World Trade Center in New York City, the Pentagon in Washington D.C. and Flight 93 that crashed Pennsylvania. 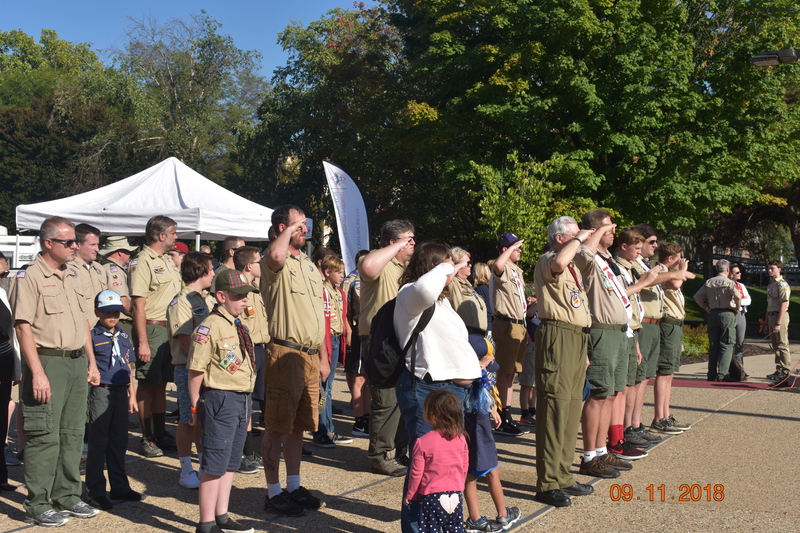 Scouts from the Boy Scouts of America were in attendance throughout the day to salute the flag. 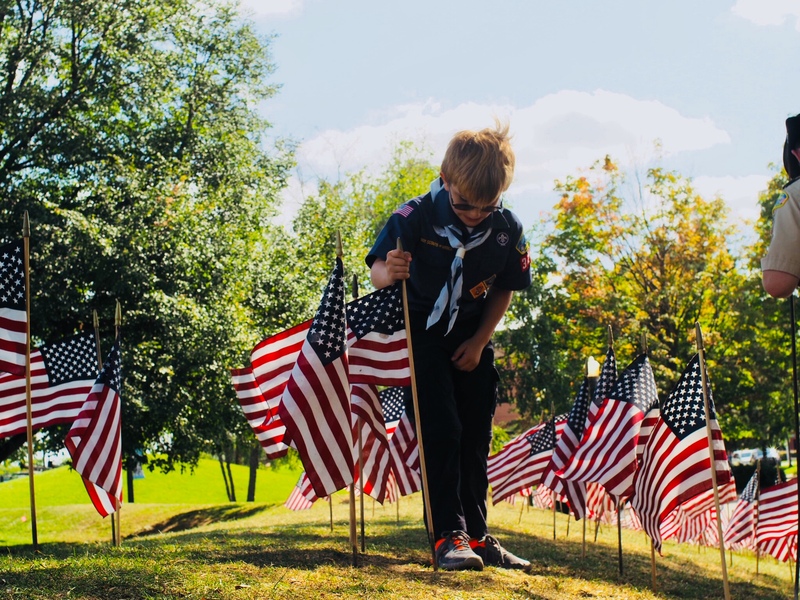 For most, the Scout Salute was an opportunity to learn about those who lost their lives during the attacks even if they didn’t live through it. 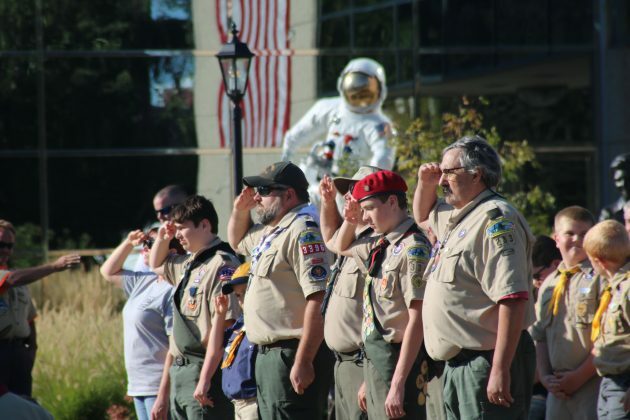 Don Converse, 33, of Hastings, attended the event with his two sons who are presently in the Boy Scouts. 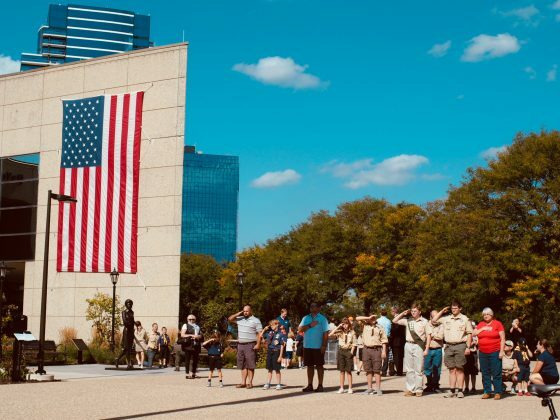 The Day of Remembrance had a deeper meaning for him as he attended not only as a den leader with his sons, but also as a firefighter. 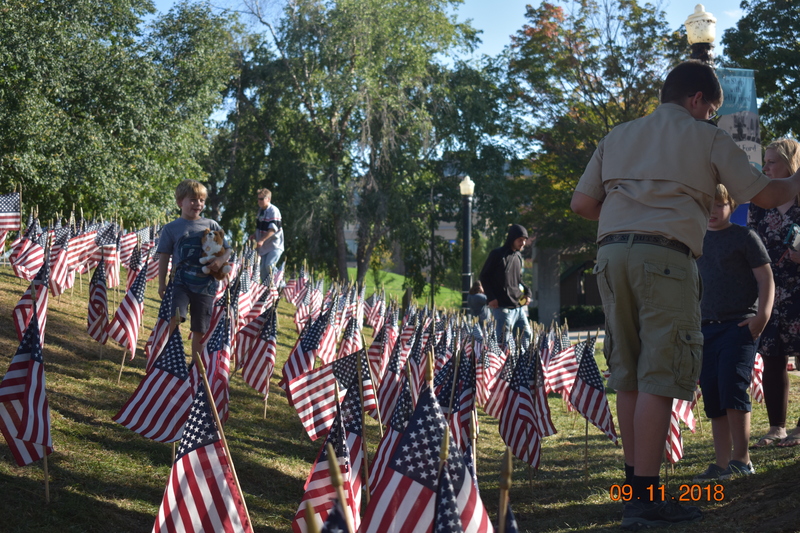 Attending the Day of Remembrance is important to him and his sons and he said they plan on returning as for as long as they can. 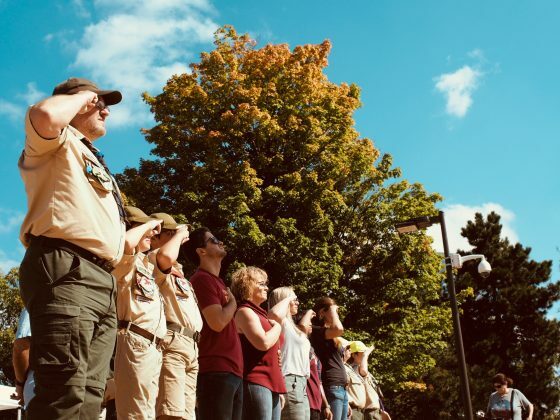 Assistant Scoutmaster Chris Sorenson, 52, of Byron Center remembers where he was during the attacks and will not forget what it meant. 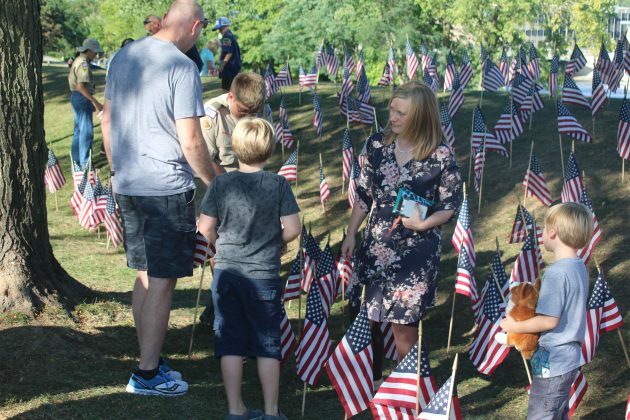 Parents, like Kimberly Hudson, 42, of Grand Rapids, were faced with explaining what happened on 9/11 and the importance of remembering. Hudson stopped by the museum on her way to a nearby bus stop when her son, 6-year-old Jonathan, asked to place a flag in the ground to honor those who died. Hudson found the words to explain to her son the tragic events of that September morning in the end. 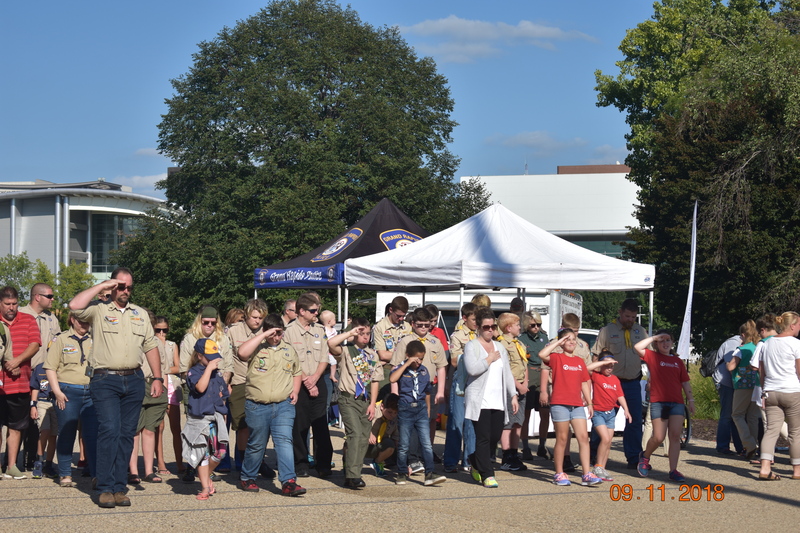 The day concluded with a performance by The Salvation Army Brass Band and remarks by retired Brigadier General and Deputy Assistant Secretary for Homeland Defense Strategy, Prevention and Mission Assurance Michael C.H. McDaniel and Dr. John Fox, president of the Boy Scouts of America President Ford Field Service Council. 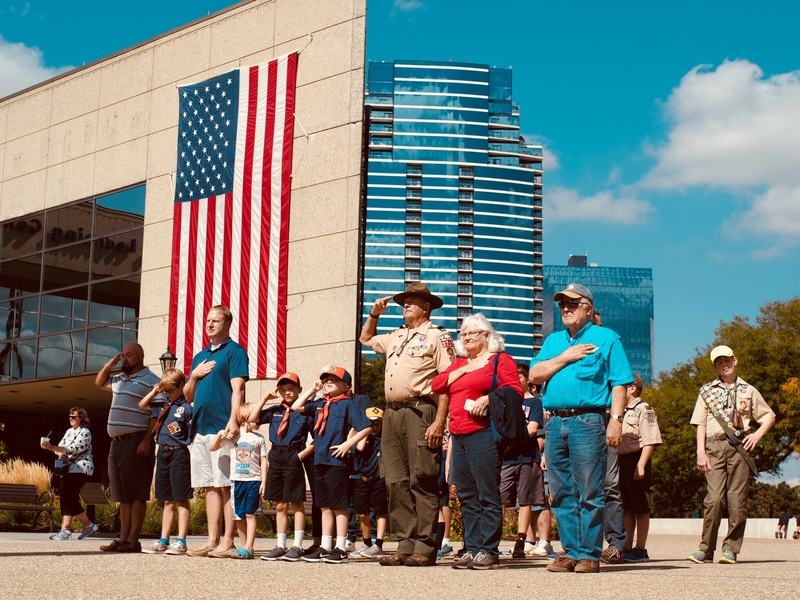 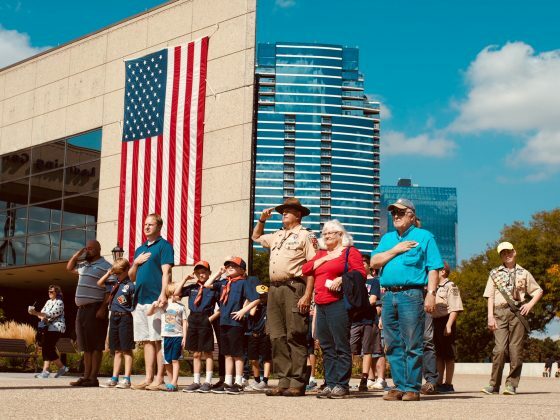 A final Scout Salute was given to the American flag waving outside the Gerald R. Ford Presidential Museum and was raised to full staff following the day’s events. 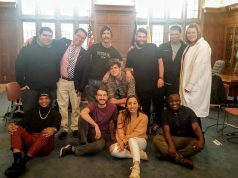 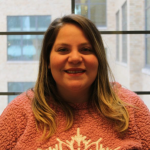 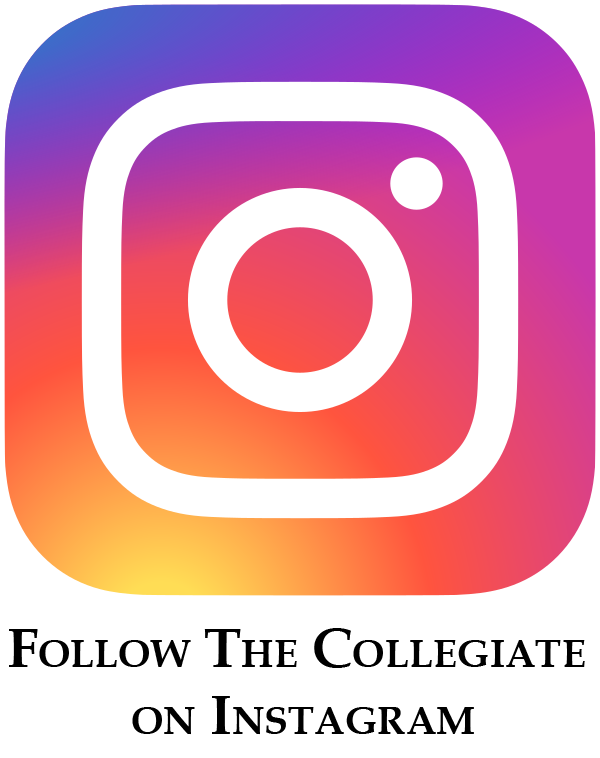 Editor’s note: Collegiate staffers Lillian Linscott and Brooklyn Andres contributed to this report.